The new choral piece “The Tree of Life” depicts the fall of Adam and redemption through Christ, framing both in imagery drawn from the Garden of Eden. The musical arrangement matches the changing tone of the text through the four stanzas—from innocence through shame to redemption and triumph, finally ending with quiet assurance. 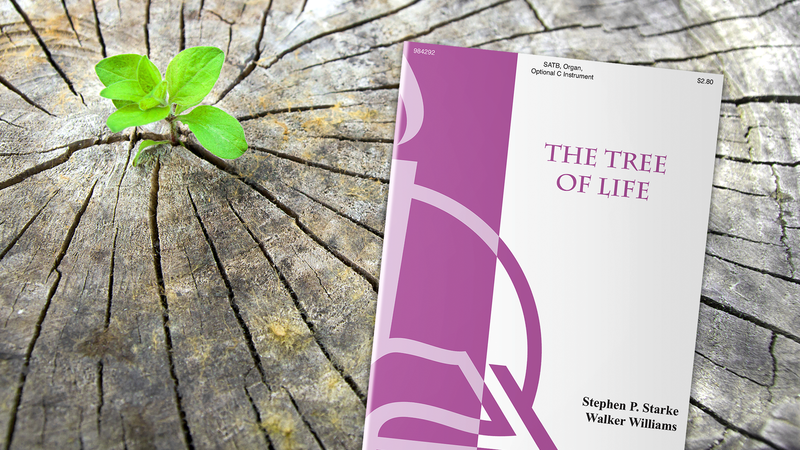 Stephen P. Starke’s flowing text and Walker Williams’s thoughtful setting support each other to emphasize the distinct purposes of Law and Gospel. Listeners are shown a complete picture of how sin entered the world, what the consequences of sin are, and how God provides redemption through His Son. This piece uses the tune THE WEXFORD CAROL. The video below plays the SATB arrangement, but a second version is available for two-part choir. An optional C instrument part is included with both versions. The text draws connections between the fall and Christ’s crucifixion to show the relationship between Law and Gospel. The first stanza sets the scene in the Garden of Eden. Listeners see trees Adam and Eve may eat from and the Tree of the Knowledge of Good and Evil, from which Adam and Eve may not eat. Stanza 2 shows how the serpent tempted Adam and Eve to eat the forbidden fruit, as well as the painful results of sin entering the world. Then immediately after, in stanza 3, Starke says that God promised to send a Savior, who would pay for all sin on the cross and “crush the ancient serpent’s head.” Finally, stanza 4 outlines the benefits all Christians enjoy as a result of Jesus’ sacrifice: salvation and eternal life. Starke interweaves the themes of trees and eating throughout the hymn. Trees are mentioned in stanza 1 in the Garden of Eden and in stanza 4 as a description for Jesus’ cross. This imagery shows the two Adams: the first Adam, whose actions led to the introduction of sin in the world, and the second Adam, whose actions saved from sin everyone who believes in Him. Similarly, the theme of eating appears in stanza 1 with the forbidden fruit, which brought sin into the world, and in stanza 4 with Holy Communion, during which the eating and drinking of our Lord’s body and blood gives forgiveness and salvation. By including both the effects of sin and the source of forgiveness, Starke explains why both Law and Gospel are needed. The Law condemns sin, but the Gospel forgives it. The hymn’s music has a calm, warm feel. The use of a major key signature—G major, specifically—adds to the positive tone of the piece. These musical choices show listeners they don’t need to be afraid or worried about their salvation. They can rest in knowing that Jesus paid for their sin. They are forgiven and will be with God forever. Walker’s careful placement of fermatas supports the inclusion of both Law and Gospel in the text. The piece has two fermatas. In both instances, the fermatas align with text about the crucifixion. The first fermata occurs in measure 55, in stanza 3 on the word “die” in “His only Son for sin would die.” By slowing down the music there, Walker emphasizes the significance of Jesus’ death on the cross. This encourages listeners to repent as they realize the weight of their sin’s consequences. The other fermata is in measure 81, in stanza 4 on the word “wood” in “To find within this cross of wood / The tree of life with ev’ry good.” The pause on “wood” provides space before the tree theme appears one final time, this time talking about a life-giving tree, the cross. While the first fermata suspends listeners in thoughts of the Law, the second one suspends them in the Gospel. With its Law/Gospel emphasis, “The Tree of Life” makes for a wonderful piece during services in which justification is a theme. We hope your choir and congregation enjoy the piece’s beautiful harmonies and thought-provoking text. Preview the score to see how you can use “The Tree of Life” in your choir. 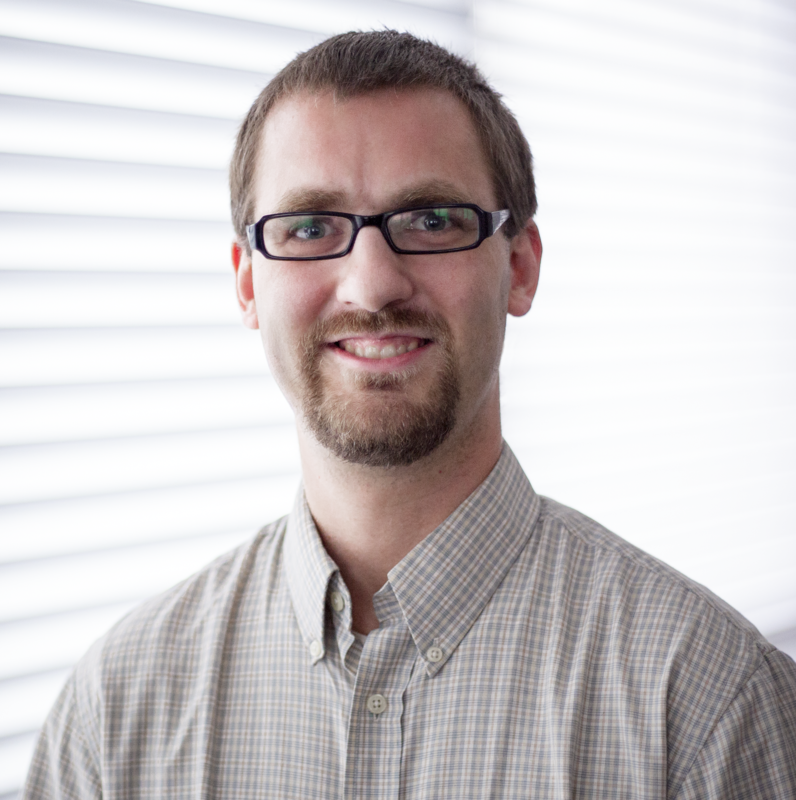 Mark Knickelbein is editor of music/worship at Concordia Publishing House and an active composer and church musician. His compositional focus is on choral, piano, and organ church music. He has a Bachelor of Science in education from Martin Luther College, New Ulm, MN, and a Master of Arts in music from Concordia University Chicago. He previously served Trinity Lutheran in Kaukauna, WI, as principal, teacher, organist, and choir director. Though the whole year pivoted around Easter, no one quite agreed when that first Easter had occurred or even when it should be celebrated. With roots in the ancient church and strong theological undercurrents, this piece is well placed any Sunday during the Easter season.